Irish Rail drivers have been offered talks on a reduction in their working week to avoid an all-out strike. 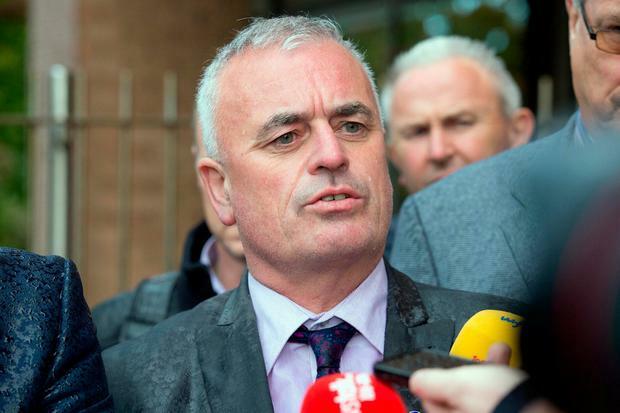 Members of the National Bus and Railworkers Union and Siptu voted overwhelmingly in support of industrial action if the company forced them to train new drivers. But it has been revealed that the company has agreed to talks on the possibility of reducing their working week if they agree to drive more hours and carry out the training. The long-running dispute has led to a delay in the roll-out of a 10-minute Dart service for more than two years. It is understood that the drivers want a 39-hour week - down from their contracted 48-hour week. General secretary of the NBRU Dermot O'Leary said the union has been seeking a reduced week for at least 12 years. In a message to drivers, the unions said Irish Rail had committed to immediate discussions on their working week if they agreed to mentor 50 drivers. Under a draft agreement, they would get a €31 a day allowance while undertaking these duties. The message to members claimed the recently departed chief executive David Franks was the "main protagonist in resisting our agenda to improve drivers' terms and conditions". "But, that was then, this is now," it said. "We have today receiveda commitment from Iarnród Éireann senior management team that they will enter immediate discussions on a reduction in the working week within a dedicated timeframe of three months." The message said they faced a choice - they must accept the mentoring deal and begin talks on the working week or "be prepared to engage in an all-out strike if or when Iarnród Éireann moves to unilaterally impose the mentoring regime". Irish Rail spokesman Barry Kenny said it has been working with the drivers' unions to resolve the issues that have been preventing driver training. He said the issues had also blocked urgently needed service expansion at a time of record demand.